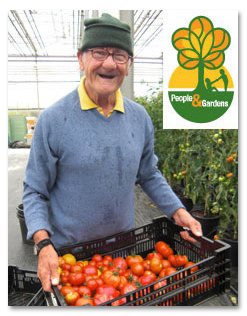 People and Gardens was set up in 1997 by Ken and Lorraine Radford. They established this organisation to support people with Learning Disabilities or emotional impairments to be able to develop as individuals and to have choice and opportunity in the workplace. They believe that gardening can help you achieve a sense of well-being and help you feel good about yourself. Everyone who helps with each project has an individual plan drawn up based on their aims and expectations. You can also visit their Facebook and Twitter pages, and share in their good news.